Tonight Love Bug said to me mumma I like you and I love you too. As if that little pearl wasn’t enough, I was sitting on the floor giving Bella a cuddle and she came over to us and wrapped her arms around us: I love you guys. As mentioned yesterday, last night I had a tough evening at the mumma office. Tonight we were having a chat and a cuddle on the couch. It was a bit after her bedtime, but not too much. 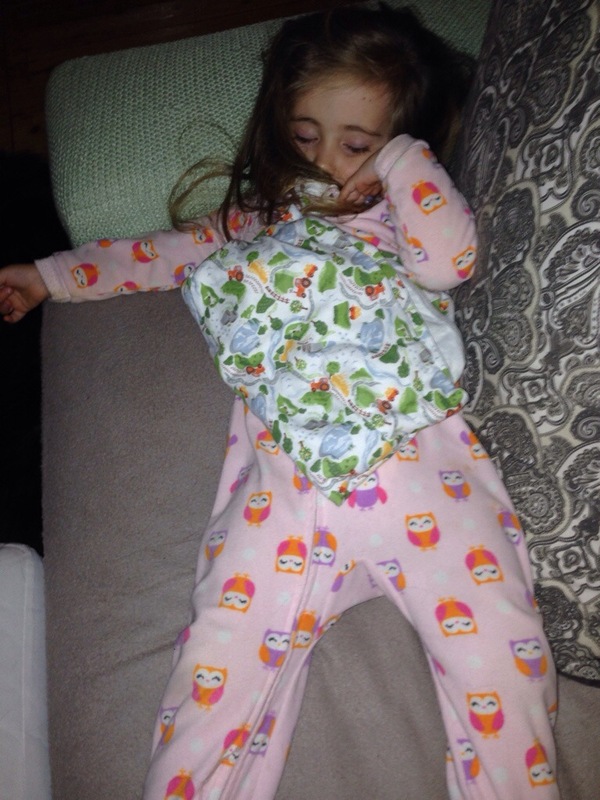 She said that she wasn’t tired and she didn’t want to go to bed. I took this photo approximately 60 seconds later. Ah kids and their FOMO. It’s very cute. Glad you had a better day yesterday. They know exactly how to melt our hearts and make everything right with the world once more!